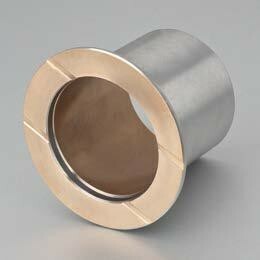 Steel shell backed with a lead bronze lining bearing material for oil lubricated applications. This material has high load capacity and good fatigue properties. It is widely used in automotive applications such as compressors, steering gear, power steering, pedal bearings, king-pin bushes, tailgate pivots, mechanical handling and lifting equipment, hydraulic motors, agricultural machinery etc. 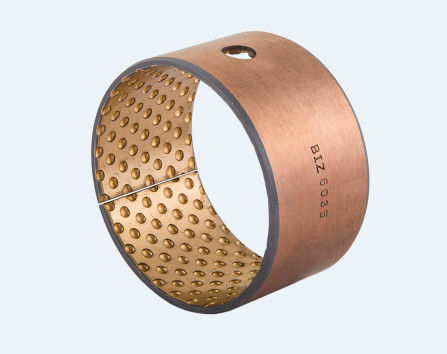 Bimetallic bearing is made of lead-tin bronze alloy sintered on the surface of high quality low carbon steel back, which is rolled into copper and steel strip after several times of high temperature sintering and dense rolling.The product is one of the strongest copper-lead alloys and has a wide range of applications. It is most suitable for various applications such as bushes and thrust washers under medium speed and high impact loads. 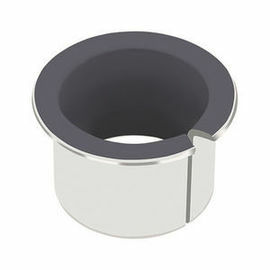 Because the matrix is stable as low carbon steel material, so the machining accuracy of the outer diameter of the shaft sleeve has been guaranteed, and there is no need for screw fixation after the product is loaded into the seat hole, relying on interference fit can prevent the phenomenon of going out of the circle.The change of chemical composition of inner surface alloy layer can meet the requirements of different bearing pressure, different service temperature and different sliding speed. 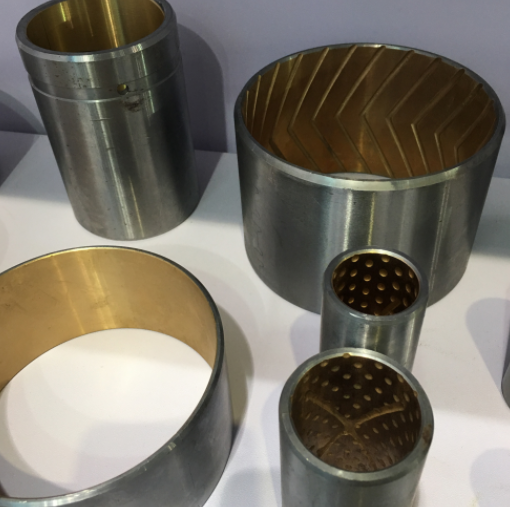 The oil groove and oil hole with different structure are designed in the production of friction surface to meet the requirements of different ways of oil adding, prevent shaft biting and adapt to different lubrication conditions. Widely used in automobile engine, motorcycle clutch, light industrial machinery, construction machinery. Compared with copper inlaid self-lubricating material, it is more suitable to work under the condition of small Angle swing, and the price is cheaper. This material is recommended to be used under the medium speed and medium load condition with oil or grease lubricating. It is widely used for motor rod ends, Kingpin bushing, undercarriage rollers, hydraulic cylinder rod eyes of construction machines and spherical joint bearings of agricultural machines. Because this material is with lead, the specific parts are not allowed to be used according to certain laws or regulations. 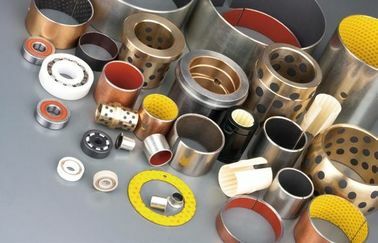 The products are applied to water conservancy and hydropower industry: hydraulic machinery: horizontal support slide of hydraulic steel gate, support bearing of hydraulic hoist and closure machine, sand blasting maintenance door bearing, etc.Hydraulic turbine: guide vane shaft sleeve (upper guide, middle guide, lower guide), wheel shaft sleeve, pin shaft sleeve (connecting rod pin, push and pull rod pin, relay piston pin), anti-wear ring plate (thrust ring), anti-wear block, control ring side tile. Metallurgical industry: die-casting machine bearing, rolling cutting shears (bilateral shears, fixed length shears on the skateboard), etc. Valve industry: butterfly valve, globe valve, etc. Others: mining machinery, packaging machinery, construction machinery, heavy machinery, injection molding machine, automobile tire mold, wind turbine, thermal power and other industries. 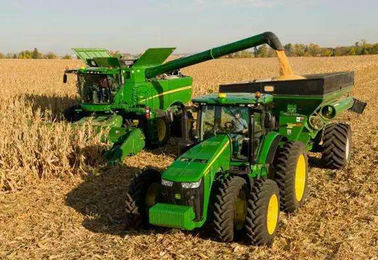 As the self-lubricating bearing has the characteristics of maintenance-free and good abrasion resistance under dust and outdoor conditions, it is widely used in the cylinder, suspension system of combine harvester, planter, baler, crusher, tractor, Joints and other parts can not be difficult to form oil or oil film parts. 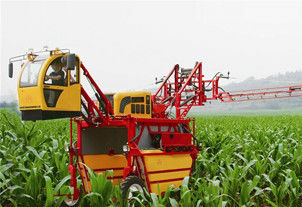 For high load capacity and oscillating movement, as well as for rough operation and temperature load. Long-run lubrication because of lubricant storage. 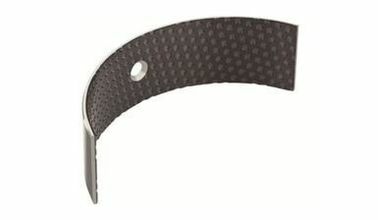 is a low-maintenance composite sliding bearing, but primary lubrication is necessary. Oil or grease lubrication is possible. Due to solid lubricant storages, lubrication clearances are reduced to a minimum!